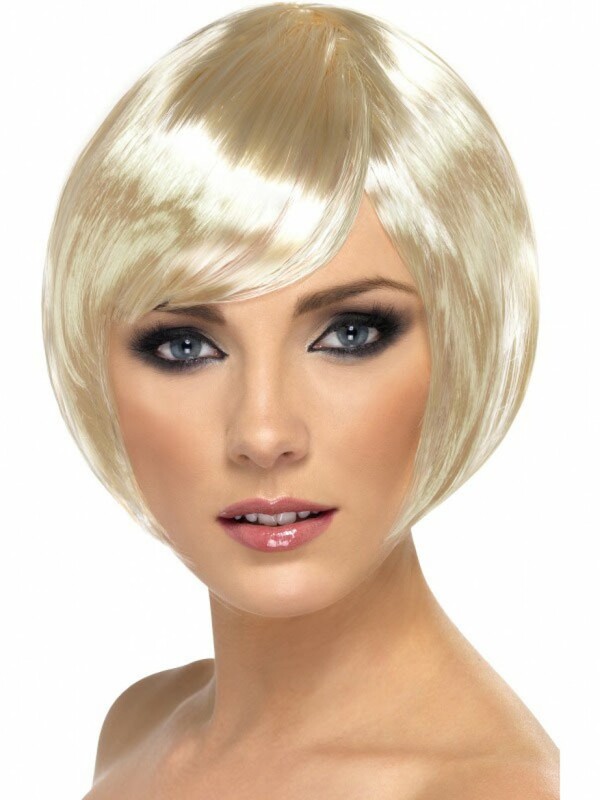 A short blonde bob wig, with blunt design and fringe. A great finishing touch for lots of fancy dress looks! A blonde bob wig, with blunt design and fringe, as pictured. The wig is great quality, with a gorgeous shine, to make sure you stand out in any crowd!